HAVE FUN AND ENJ Y ! The barber cutting her long hair off! 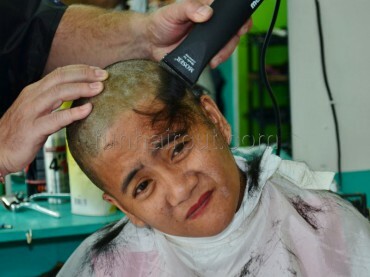 Her barbershop haircut in full resolution..